Remember to "Like Us" on Facebook !! The ETA Chapter of Delta Kappa Gamma, an organization of women educators, is offering a one-time grant to one female high school senior that will be entering the field of education. The $500.00 grant is paid directly to the college or university that the recipient is attending. Interested female seniors may apply by completing the application provided at the link below. The 2018-2019 spring break will take place from Monday, April 15th through Friday, April 19. These days are non-student and non-staff days. Please note these days on your calendar as non-school days. Planning to play college sports? Then you will need to be familiar with the eligibility requirements in order to participate. For a list of the eligibility requirements, click on the link below. There are a number of days during the 2018-2019 school year that are non-student days or days in which students are dismissed early. For a list of those days, click on the link below. William Fleming High School is utilizing an application called Remind that sends reminders to students regarding college and other school events throughout the year. The service allows students to get reminders via emails or text messages. Students can utilize the service by using the information provided at the link below. The 2018-2019 athletics schedule is now available for those interested in planning on attending any or all of the sporting events during the school year. The schedule may be accessed at the following link or by going to Extracurricular Activities on the main menu and then selecting Athletics. Plan on coming out an supporting the Colonels this year! The William Fleming High School family is committed to empowering students to achieve their potential in an equitable, highly literate environment. William Fleming High School is one of Roanoke City's two high schools. The school is named for William Fleming, a Scot immigrant, who was a notable physician and statesman. For a period of six years, he was attached as surgeon to George Washington's regiment in the French and Indian Wars. As a colonel in Dunsmore's Wars, he was wounded, and this injury ended his military career. He continued to care for the sick and to participate actively in the affairs of the Roanoke community and of the state for the remainder of this life. He became a member of the General Assembly, a state senator, and for a very brief period of time acted as governor of Virginia. A national historical marker on the Monterey Golf Course denotes the site of Colonel Fleming's plantation. In September of 1933, 152 students began the school year in a newly constructed building on a 7.5-acre tract (present site of Breckinridge Middle School) in Roanoke County. nbsp; The original William Fleming High School consisted of five high school classrooms, one elementary classroom, a library, a reception room, a chemistry laboratory, two locker rooms, an auditorium, and an office. The staff was composed of a principal and four teachers who instructed the students in English, history, mathematics, and two foreign languages. During the next few years, the enrollment climbed to two hundred, and seven new teachers were added. In the mid-thirties, a newspaper and a yearbook were established at William Fleming; the drama club presented its first play; and, seniors purchased class rings. Four clubs were started, and athletic programs began on a trial basis with football, basketball, and baseball teams.Fleming's football team ended its first season (1934-35) with a 1-2-1 record while the basketball team finished 5-11-0.This year also saw the establishment of the school's colors as blue and gold, and the introduction of "All Hail to William Fleming" as the school's fight song. During the following decades, growth and development included additional academic courses and extracurricular activities. Two changes deserve special mention. In 1949, William Fleming became part of the Roanoke City School System through the annexation of part of Roanoke County by the city. The second change occurred when Fleming was moved to its present location in 1961, and became a city school in Roanoke County. Built on a 50-acre tract northwest of the city at a cost of $1,602,800, Fleming opened with 1,200 students and a "school within a school" concept. The campus style school encompassed 128,133 square feet and contained a central administration/library, an electives building, gymnasium, and three academic halls (Camper, Hart, and Smith).Each hall contained nine regular classrooms, two science laboratories, a greenhouse, a general education room, a teacher's workroom, and offices for an assistant principal and guidance counselor. The physical plant has expanded since then. Coulter Hall was added in the 1960's and the field house in1970. In 1978, Lawson vocational Center and Dickinson Auditorium, a new central office complex, and enlarged media center, and a senior cafeteria were all added. An auxiliary gymnasium was constructed in early 1980, and in 1986 Camper Hall was expanded to provide additional rooms and laboratory facilities for science. In 1989, eight auxiliary classrooms were added to accommodate the arrival of ninth graders on campus as middle schools were established in the city. 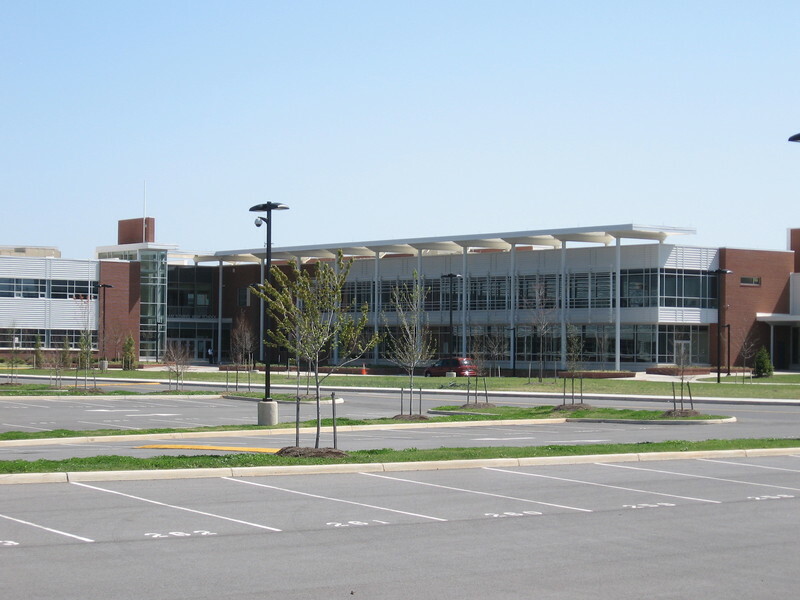 The William Fleming High School of the Twenty First Century reflects these years of change, growth, and development. The school plant encompasses all of the above buildings. The student body has increased to 1,650 students, and the faculty is composed of a principal, 4 assistant principals, 1 school improvement officer, 1 English Administrator Coach, 1 guidance coordinator, 5 guidance counselors, approximately 112 teachers, and 36 classified personnel. Fleming has a diverse curriculum with a wide variety of courses, including a broad spectrum of the arts, humanities, mathematics, science, career and technical programs, special education classes, and advanced placement classes in calculus, biology, English, government, and history. Many Fleming students attend the Roanoke Valley Governor's School for Science and Technology in Roanoke for half of the school day. After school, opportunities for extracurricular activities abound. For example, the athletic program has grown to include sports for both young men and young women in the student body.